Have you ever had an unforgettable experience which changed everything for you? 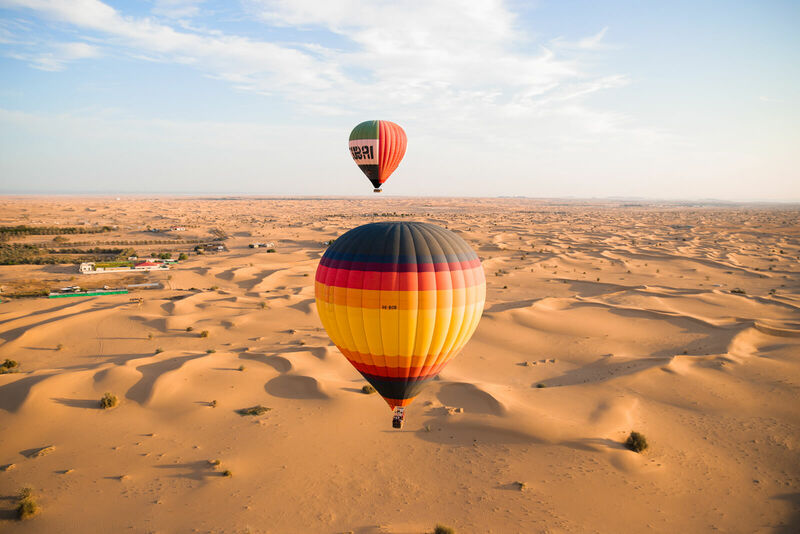 For this talented photographer, savvy business owner, loving wife and Mom of two gorgeous little ones, this experience was her first hot air balloon flight. After Edgora’s first experience with hot air ballooning, something changed and she knew that she had found her true calling! From that moment onwards, she couldn’t stop thinking about it and her interest in hot air ballooning very quickly turned into a passion and is now a major part of her life. 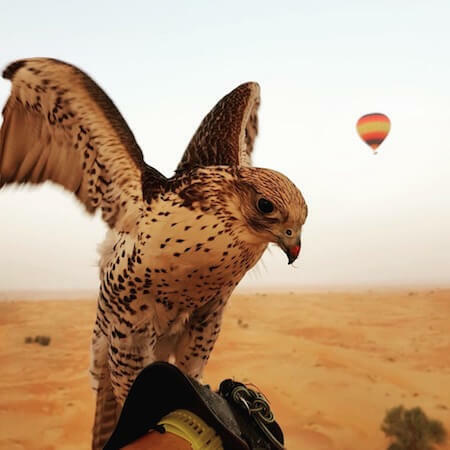 Since then, she has been on a mission to become qualified as the first female hot air balloon pilot in the UAE. In order to get a Private Pilot Licence (PPL), a minimum of 16 hours of flying with a qualified instructor is required. Edgora chose to fly with Balloon Adventures because of the team’s selection of the best pilots from around the world. With a collective of over 150 years’ experience amongst the pilots who have flown hot air balloons in just about all corners of the globe, she knew that she would be training with the very best. 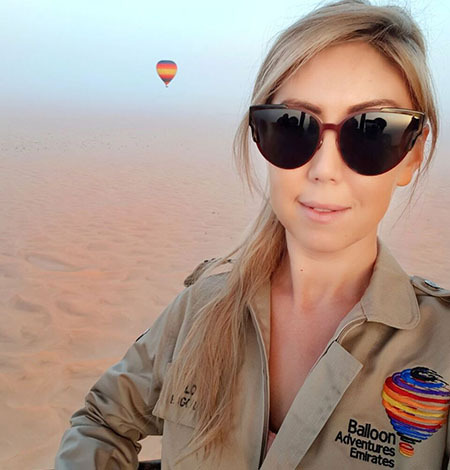 When asked about her biggest learnings from training with Balloon Adventures, Edgora mentioned that all the pilots were happy and enthusiastic to share their extensive knowledge. There are three important rules to operate a balloon: aviation, navigation and communication. One of her fast realisations was that when conducted with a well-trained and attentive pilot, hot air ballooning is extremely safe! 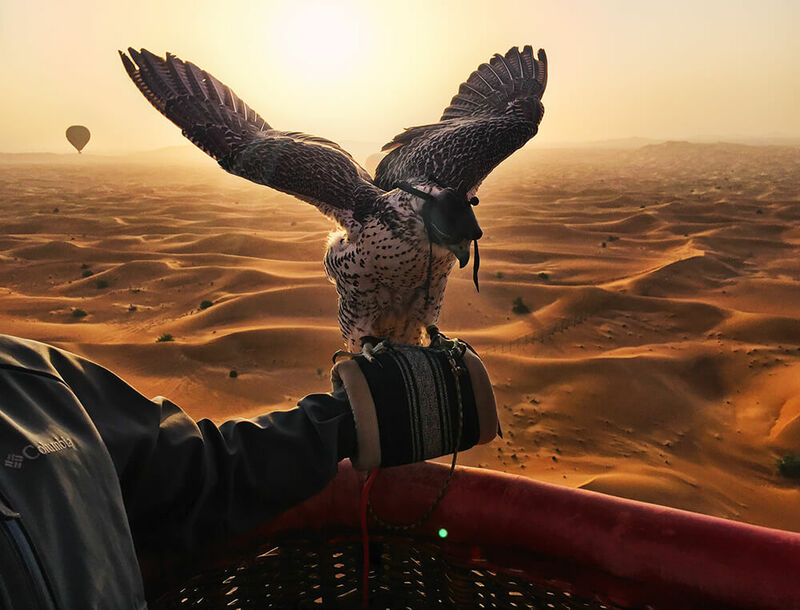 She feels very lucky to have trained with Balloon Adventures as it is the only company in the world which offers the unique experience of flying with falcons. As a talented photographer, Edgora is also a frequent contributor to our image library. During the balloon season break over the summer in Dubai, Edgora has been completing some of her theory and practical examinations in Italy. In total there are 5 theory exams, a check flight and a solo flight. In addition, physical fitness is a requirement and time in the gym to build up the strength to pull the ropes of the balloon is a priority. 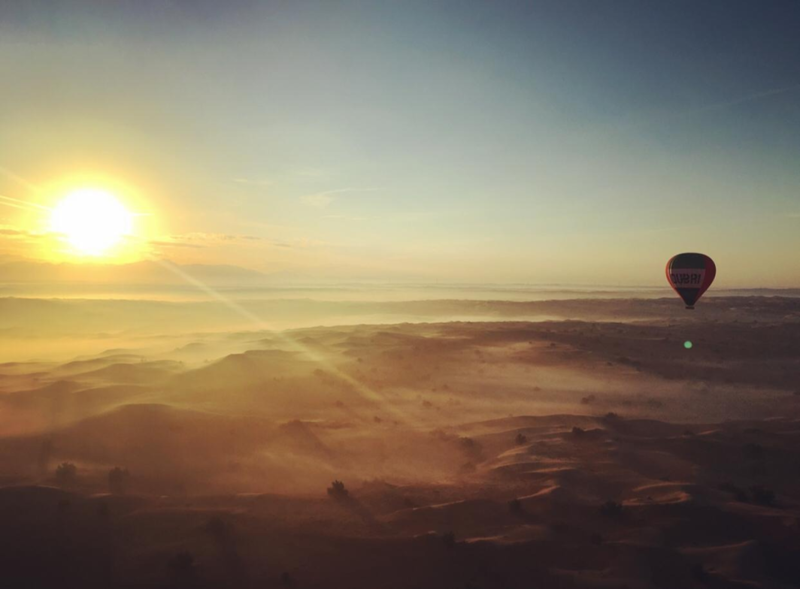 After successfully passing her first solo flight a few weeks ago, Edgora has highlighted this as her favourite memory of Hot Air Ballooning. As an amazing sense of accomplishment and freedom, it’s no wonder that this moment stands out for her! 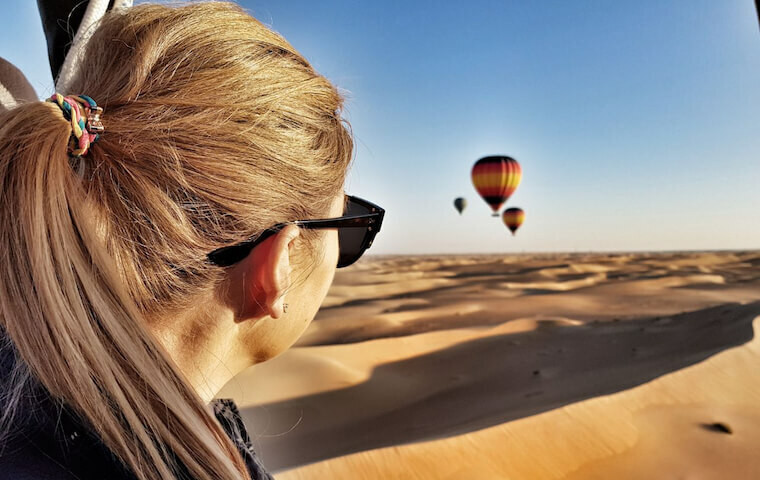 Excited to become the first female hot air balloon pilot in the UAE, Edgora hopes to inspire other women to follow their dreams. 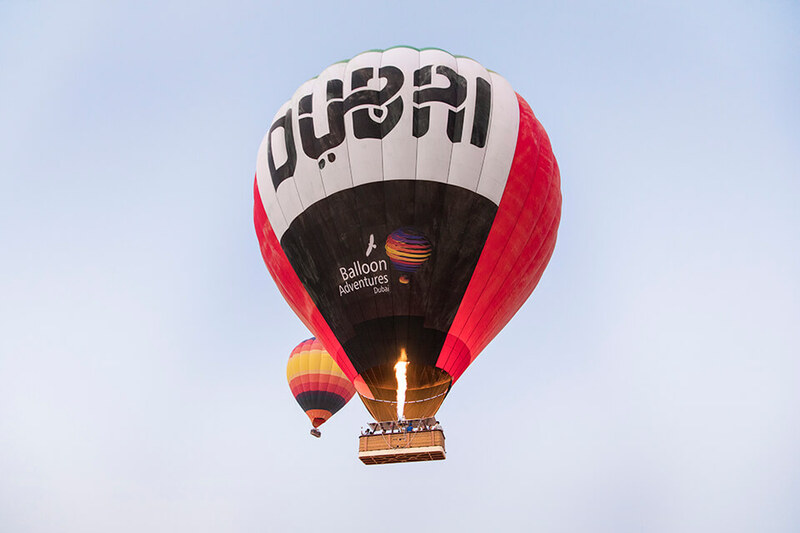 It has been an honour to have Edgora fly with us and we look forward to supporting her in pursuit of her dream as she continues her successful hot air ballooning journey. Stay tuned for more and follow glimpses of her inspiring story on our Balloon Adventures Instagram as her beautiful images are often featured!